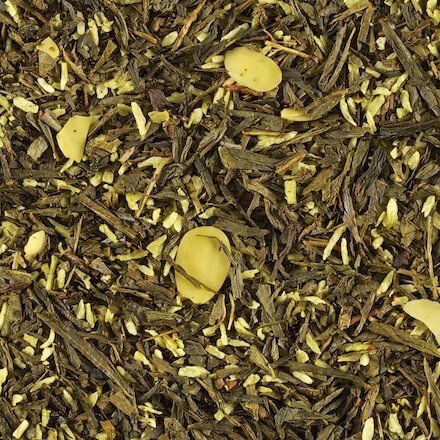 Almond-coco cookie tea - Monsieur T.
Green tea leaves, flaked almonds and grated coconut have joined forces to offer a sweet brew that seems to come straight out of Grandma's oven. Entering your home, guests will proclaim: " It smells delightful ! ” And, as a result, they will want to know your homemade cookie recipe. A coconut taste wrapped in a comforting almond aroma that will warm you from head to toe. Contains: Green tea blend, almond flakes and coconut, flavors.